One of three Boss 429 Mustangs for sale this year at Barrett-Jackson, this particular example set itself apart by having just 13,000 miles on the odometer. For the most part the car is original including the paint and drivetrain, and it comes with extras like a Deluxe Marti Report, a copy of the window sticker, the original dealer card and the owner’s manual. Another cool fact about the car – the original owner was just 17 years old and needed his mother to sign for the title since he was too young. The selling price of $247,500 seemed about right, given other recent examples that have sold in the past year. 13,000 original miles. Title represents mileage exempt. Seller represents original miles, and will provide a notarized, written affidavit to that effect. Un-restored BOSS 429 with original paint and drivetrain. One of the last rare 820 S Code NASCAR engine cars built, KK 1460. Original Goodyear F-60-15 Polyglas tires with very nice date coded wheels and the original 2-piece lug nuts. Original Ram Air air cleaner, snorkel and heat shield. Original date coded carburetor, smog pump, brackets and hoses, and early C9AF-U distributor. All original very nice interior including original very nice carpet, original all intact trunk mat, space saver tire, canister, jack and handle, headlight aimer bag along with correct replacement battery with correct vent caps. Original rust-free straight body. All original Carlite glass throughout and “TS” Ford script headlights with factory chrome trim. All factory exhaust including H-pipe, heat tube and flapper, resonators, date coded transverse muffler, exhaust hangers and turn downs. Original date coded KKX shocks and suspension. Inspected by BOSS guru Ed Meyer and has received two Chairman’s Awards for survivor cars. Deluxe Marti Report with copy of Window Sticker as well as Ford papers and letters. Original dealer card, owner’s manual with supplement, litter bag, safety and warranty book. Build Sheets still under carpet in back, never been removed. Have copies of titles including original title signed by 17 year old original owners mother because he was too young to sign. Have copy of original financial paperwork from Catterpillar Financial as the original owner worked for Catterpillar before going to Vietnam. Still has original John Bearce Ford dealer sticker on back of car. Featured in five books including Mustang Milestones by David Newhart. 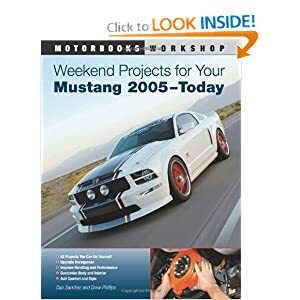 Featured in numerous magazines including Hemmings Muscle Machine July 2008, Mustangs & Fords, and Super Fords. Featured on the websites How Stuff Works 1969 BOSS 429 and 1969 Mustang Top Speed. The car is in the BOSS Registry with picture. Original low mileage survivor cars are the most treasured by collectors.